Sealing Flagstone isn’t always easy when you don’t know what you’re doing. Are you someone who has been struggling with your stone surfaces for a long time now but you just can’t seem to find the right sealing solutions? Perhaps your flagstone in your residential and commercial buildings are showing some major signs of wear and tear. When this happens, you may not know where to go to purchase the best sealing products. Make sure you’re able to find the right solutions by counting on TSS PRO Sealants. Flagstone, also known as sandstone, is a very quality material that will help you keep your residential and commercial walkways in great shape. Are you dealing with some surfaces that are beginning to look very worn own and unable to present themselves? Maybe you’d like some help with making sure you have quality sealants again for your flooring. Whatever the case may be, The TSS PRO Sealant is the product that can help you get out of your situation in the easiest way. Finding the right products for your natural and organic products can be really tough when you don’t have a company you know you can depend on. Are you trying to make sure you’re’ able to fix your flagstone in the right ways without compromising your health or the environment? If you’re looking for an all-organic way to seal your stones for future years to come, we’ve got your back completely. Make sure you lean on orut eam when you’re ready to get the most out of your flagstone sealing need. The final stages of this should be just as satisfying as the starting. While it can be hard to find the right products for your do-it-yourself attitude, TSS PRO Sealants is here for you. Sealing Flagstone isn’t always easy and simple to the common eye, though. Are you not very experienced with your stones and you’d like someone to kind of give you a helping hand when it comes to this type of thing? When you’re ready to figure this out, lean on our professionals can make sure you have access to the right resources. We’re ready to make things right with your stones once again. Our proprietary sealants are all-natural, all-organic, and all-world in class. If you’re looking for a cumulative catalog of products that will handle all of your needs, you have found the right website and company. We consistently provide our customer and clients with the right resources they’ll need to make the most out of your flagstone. You should have confidence in using your residential and commercial surfaces. Whether it’s a backyard patio or a commercial kitchen surface, you need to seal your stones in the right way. Lean on our products if you’d like more out of your stones. 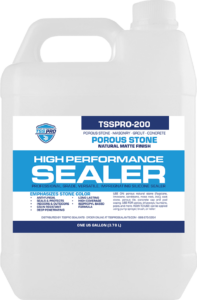 The TSS PRO Sealant is one of the best ways for you to figure out exactly how you want to tackle this type of problems. Are you looking of some type of natural and organic solution that can give you the sealing you’ve always wanted? This is something that a lot of people worry about, and we’re on a mission to make sure this never happens again. Try to find your right solutions and resources by dealing with our company exclusively. When you’re only working with one product, it makes things much easier. You see, may people choose to buy any type of Sealing Flagstone product for their floors. While this might work for some, no two surfaces are alike because of this, you’re going to make sure you have some type of consistency that’s currently going on with your stones. Why not keep this up by simply buying our line over and over again? You won’t be let down, and you’ll also be able to enjoy an organic cleansing. Are you trying to take your ealing needs a step further? Perhaps you don’t know how your’ going to be able to make the most out of your flagstone and limestone sealant needs and you’d like someone to help you. When You’re trying to find the right mold and mildew stoppers, we think our company skt the one for you. We’ve got a ton of different sealers that will help you with this. We know that damage that mold, mildew, and algae can do to your stones, and our products are here to help you. The TSSS PRO Sealant is made up of proprietary components that give you a high powered sealing. Are you looking for products that can permeate inches deep within your stones? Maybe you’d like some accessible pricing that helps out you and your family’s budget this month. You have every right to be stressed over this, and we know it’s not always easy. Why not find our team and call us in for assistance? While nobody wants to sacrifice quality, we wall want to try to make sure we’re getting the best deals possible are you someone who’s currently having some trouble with this and you’d like to make sure you know where to go early? If you’d like some help, be on the lookout for our professionals. We have timely solutions that save you money and time. Many people worry about water stains getting the best of their surfaces. Are you sick and tired of having to deal with a lot of staining and wet leaf problems that make your surfaces look terrible? If you’ve got some flagstone that just isn’t’ performing to its highest standard, it’s time to do something about it. By calling in our time, you’ll have the help you need and deserve in no time. Sealing Flagstone doesn’t have to be as hard as some people think it is. While you may be having some difficulties making the most out your flagstone, you can definitely count on our team to provide you the the resources you’re looking for. 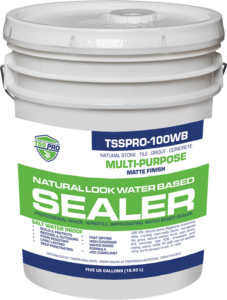 The TSS PRO Sealant is something that is absolutely revolutionary,. It continues to take the game by storm, and we think you’ll enjoy it for your personal uses. Visit our website now to purchase your orders and make your stones great again. You won’t regret working with our team!